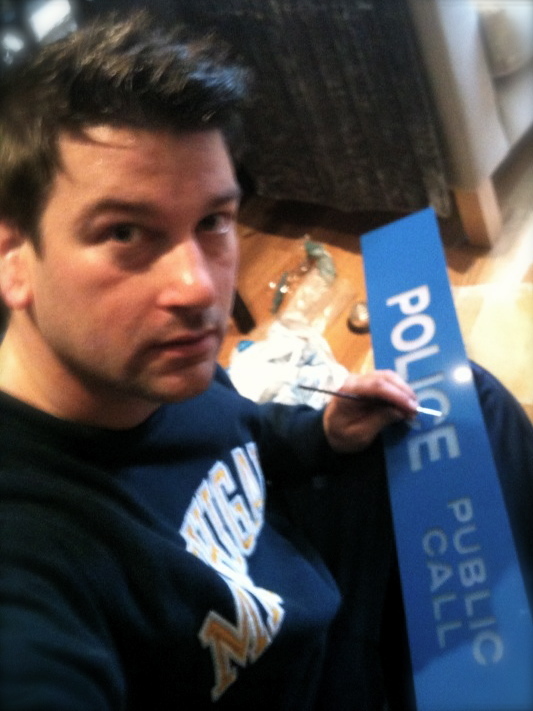 It was a long process to get to this slick finish! 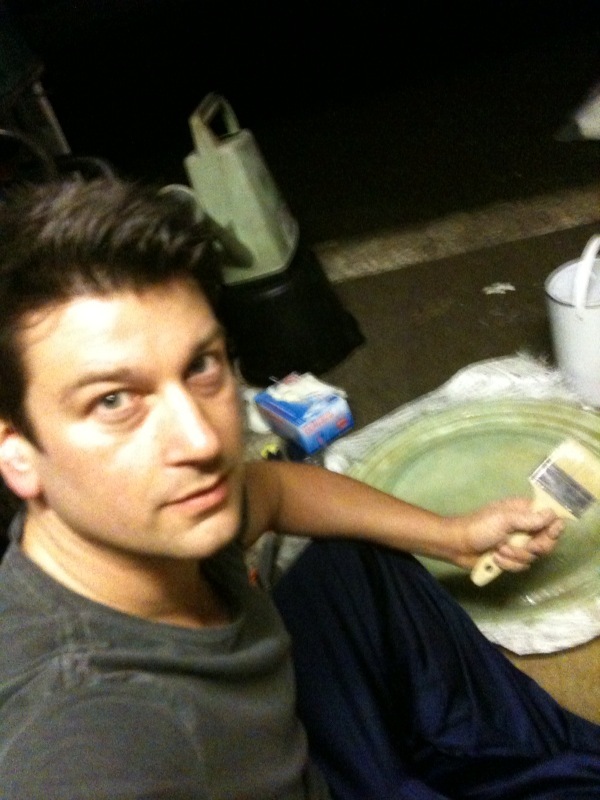 Many people worked endlessly, beyond the call of duty to accomplish the end result that was MAGIC! 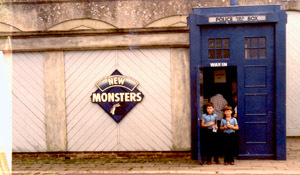 But those who love the show (no matter how young or old) made it such a fun & memorable TIME! 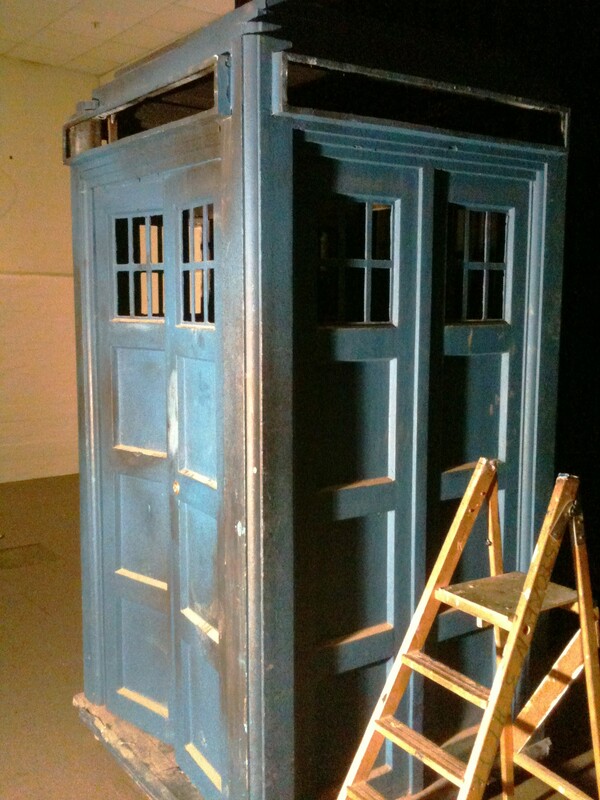 At first it was ALL very messy, dusty & horrible! 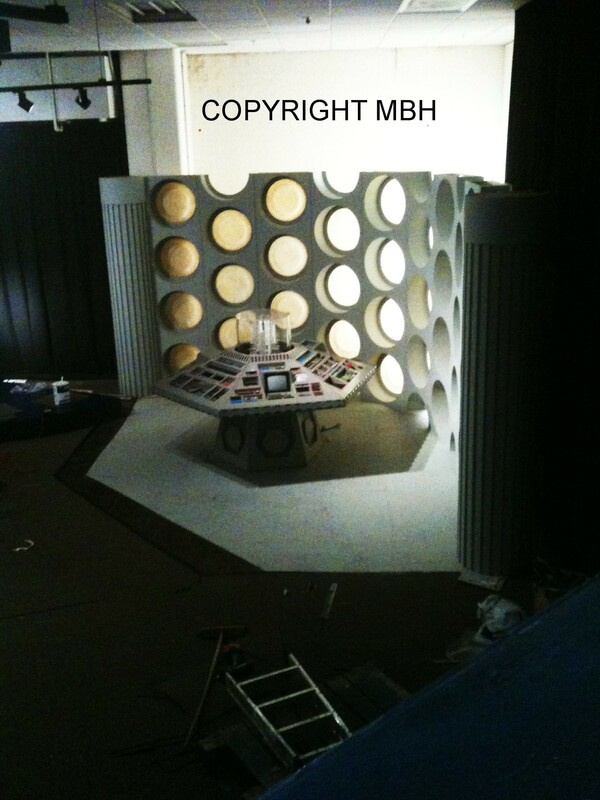 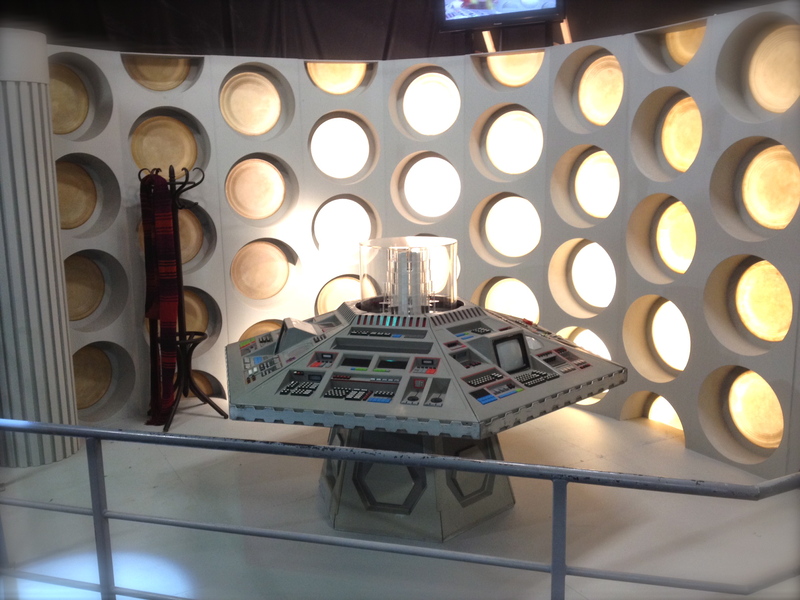 to the left you can see the empty space -where I constructed the classic series interior set! 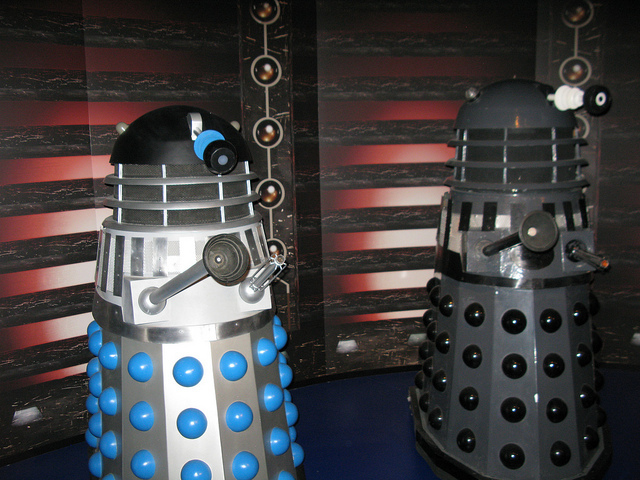 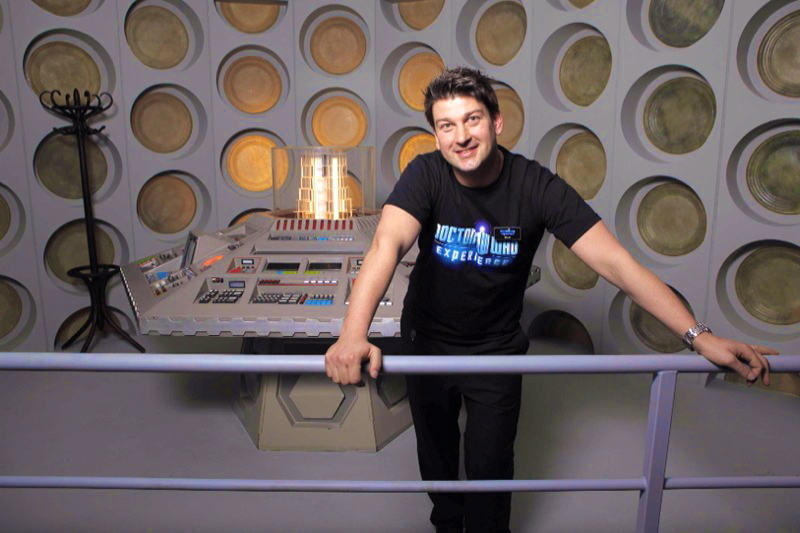 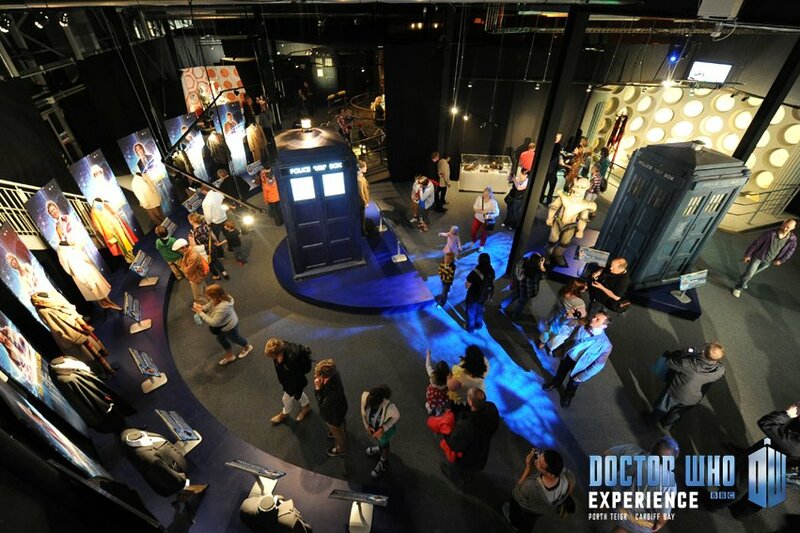 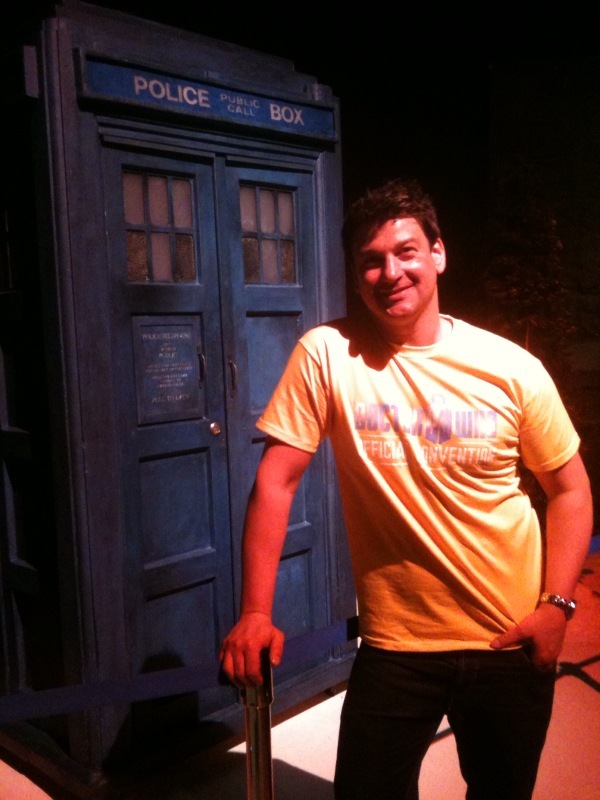 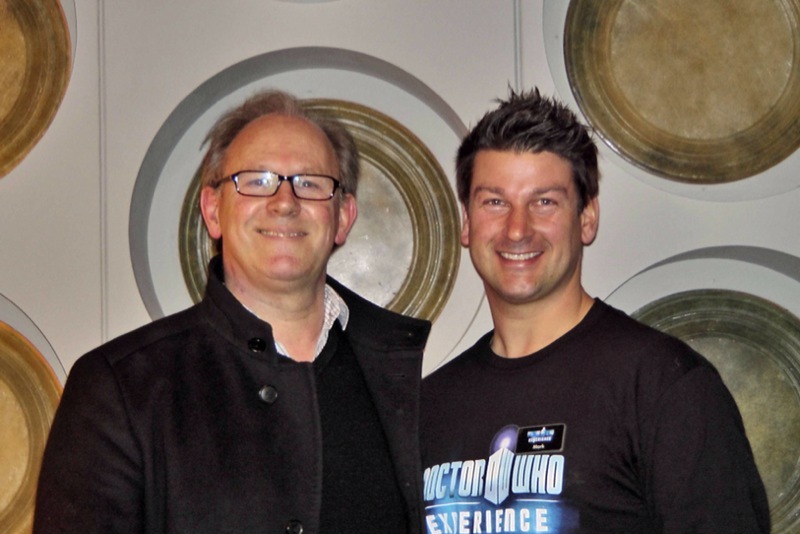 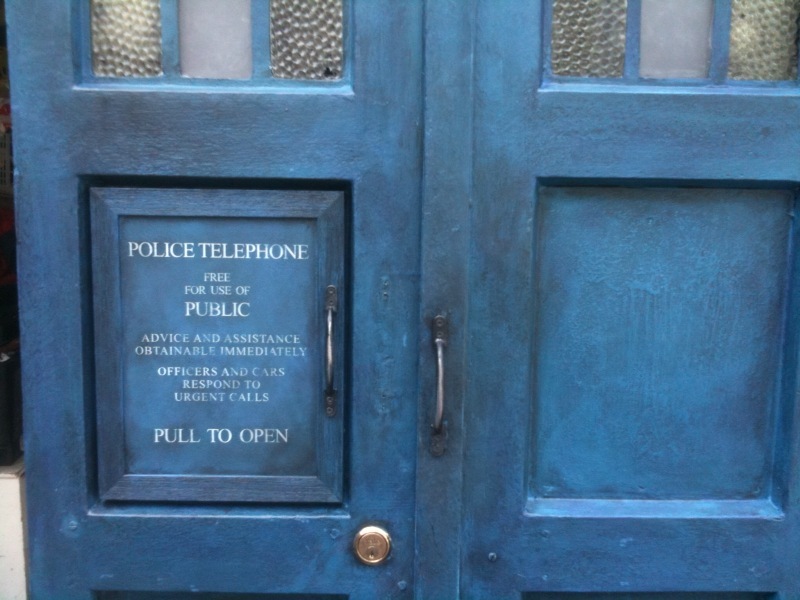 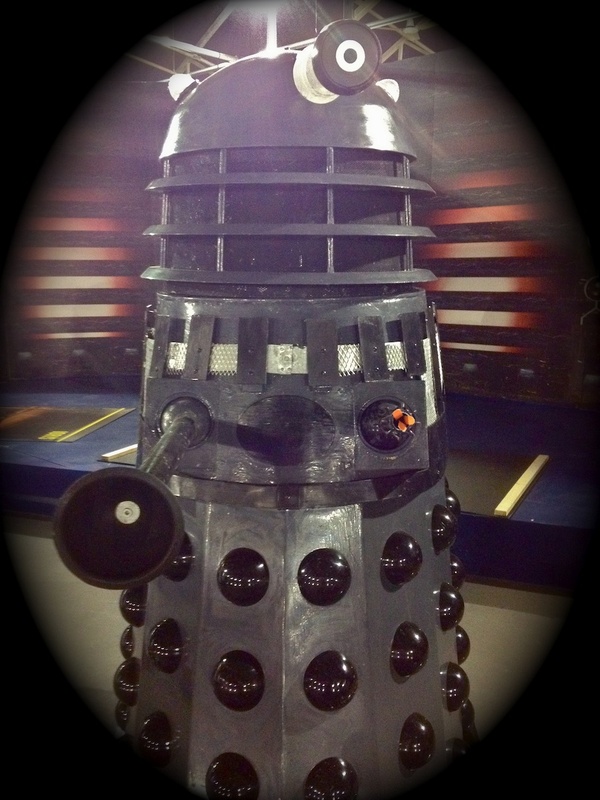 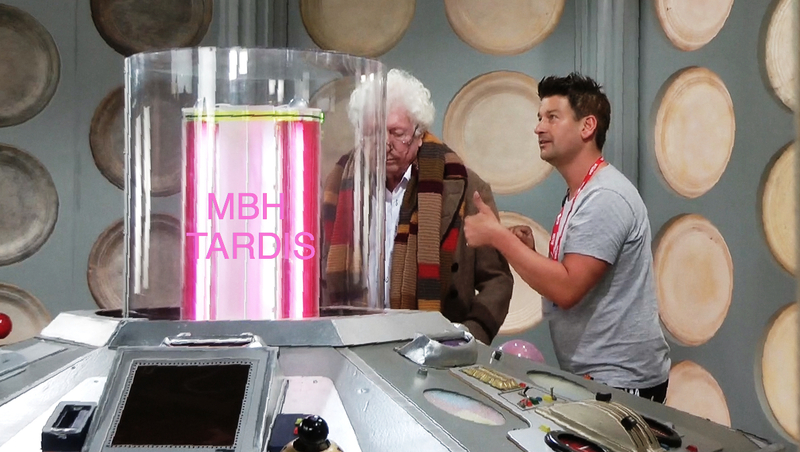 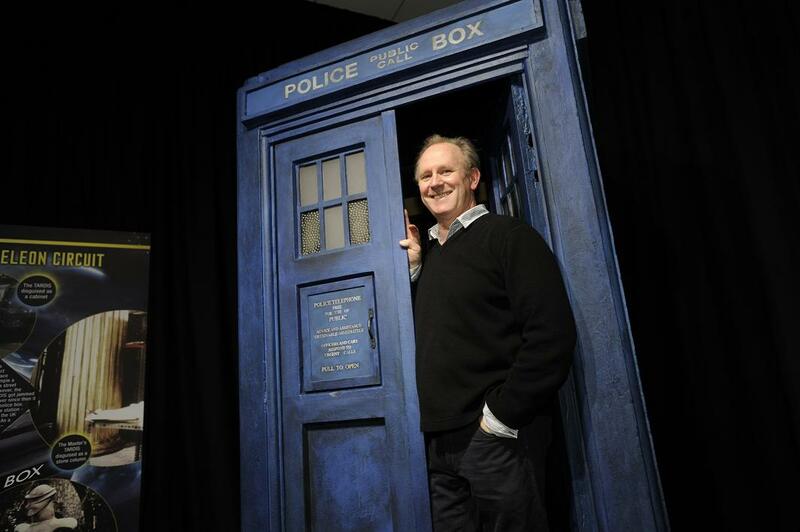 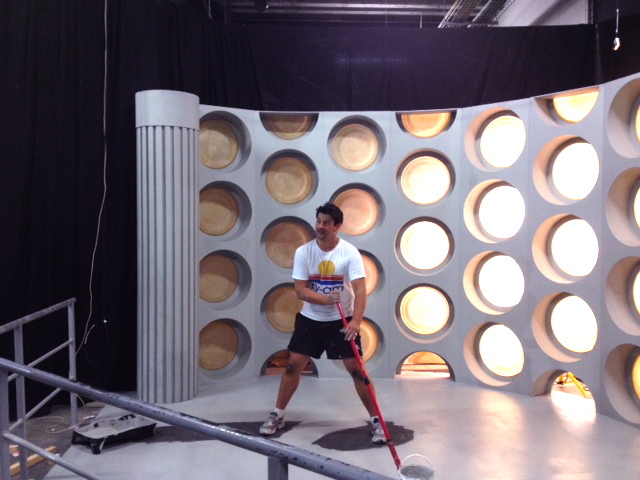 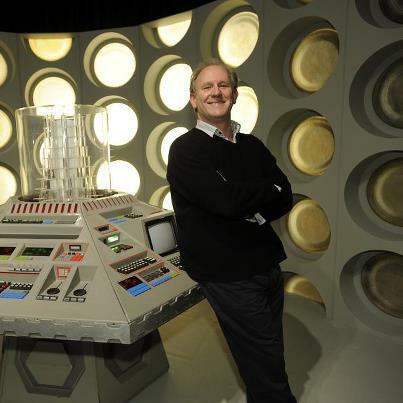 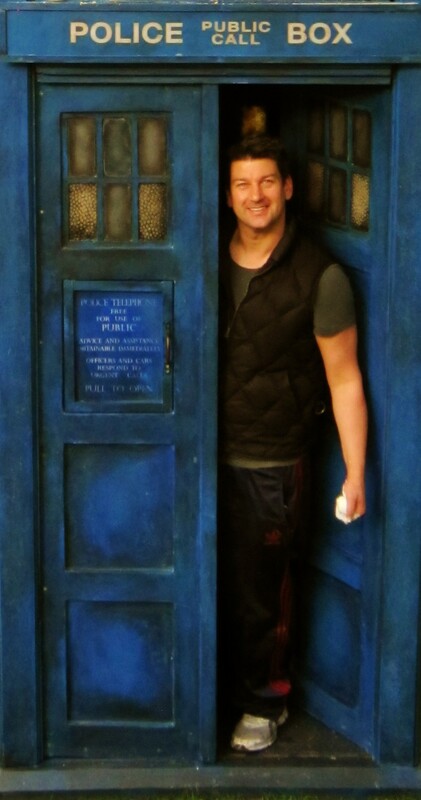 I was actually inside the Tardis in this shot! 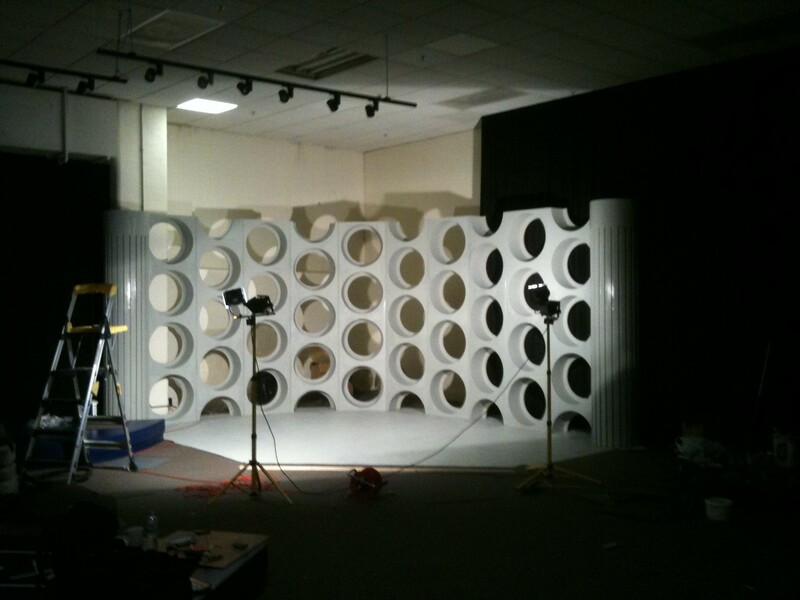 I helped Peter's wife Liz take lots of photo's and film for a convention in USA! 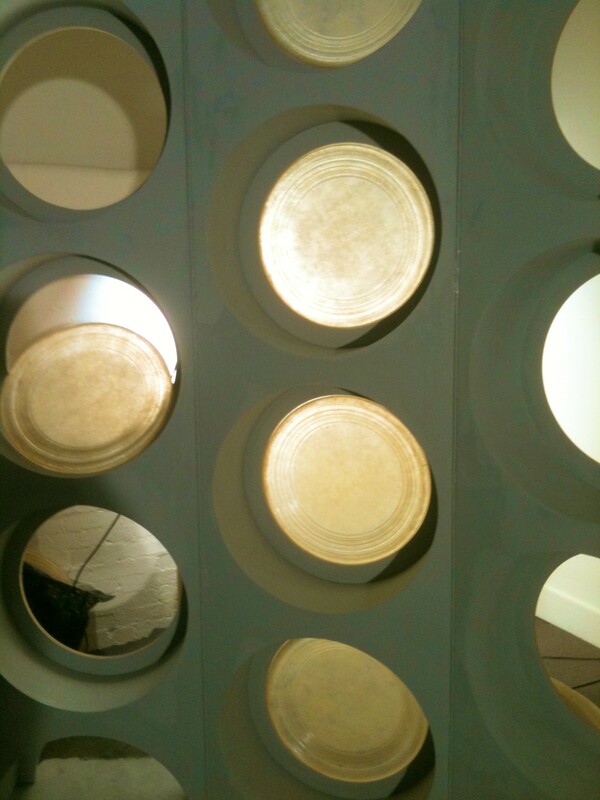 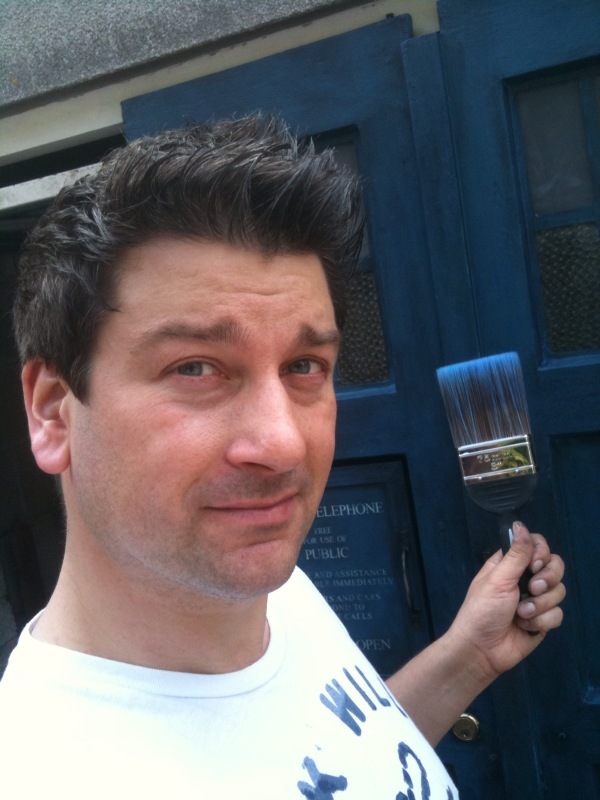 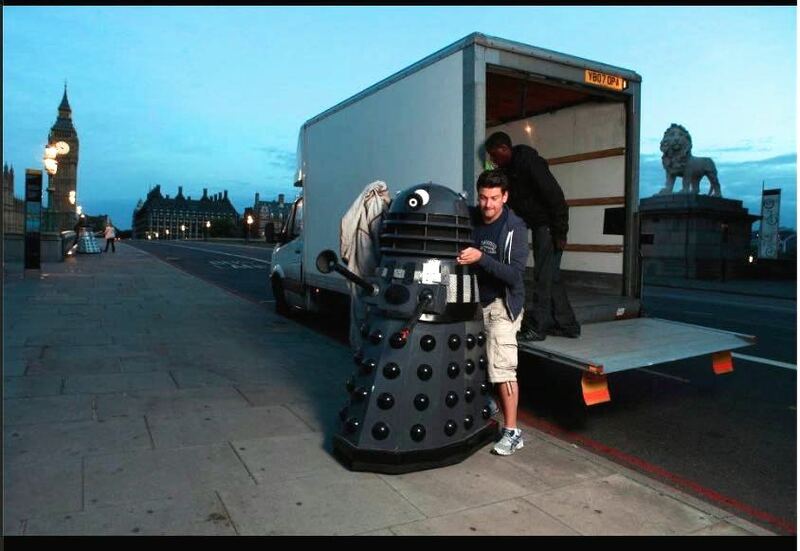 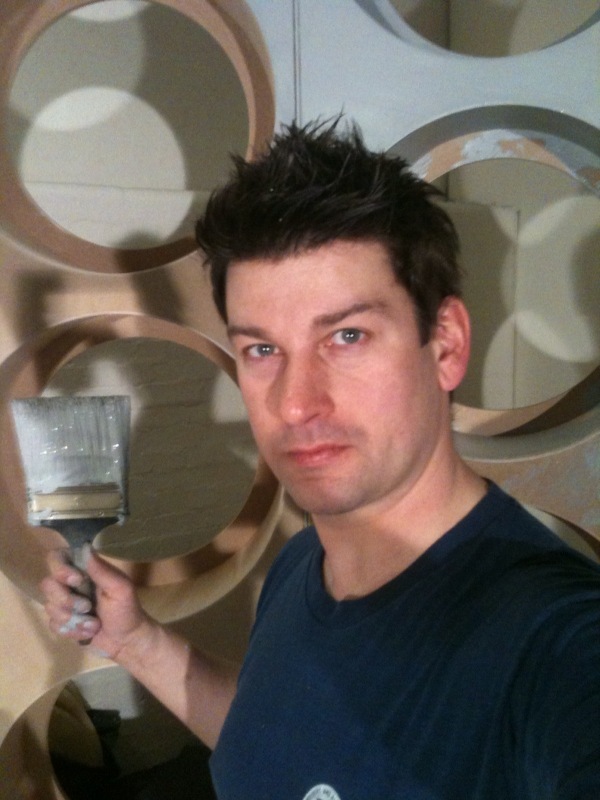 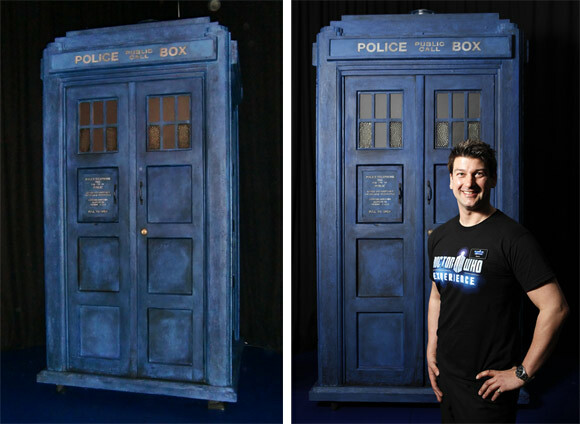 This bit was fun, the walls were assembled and with every stroke of the brush the TARDIS appeared! 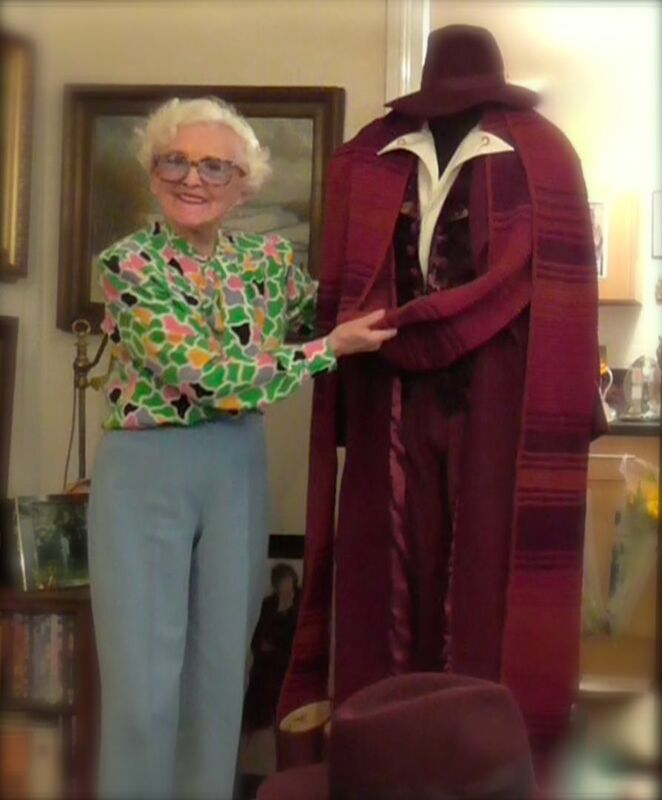 One of June Hudson's most wonderful creations! 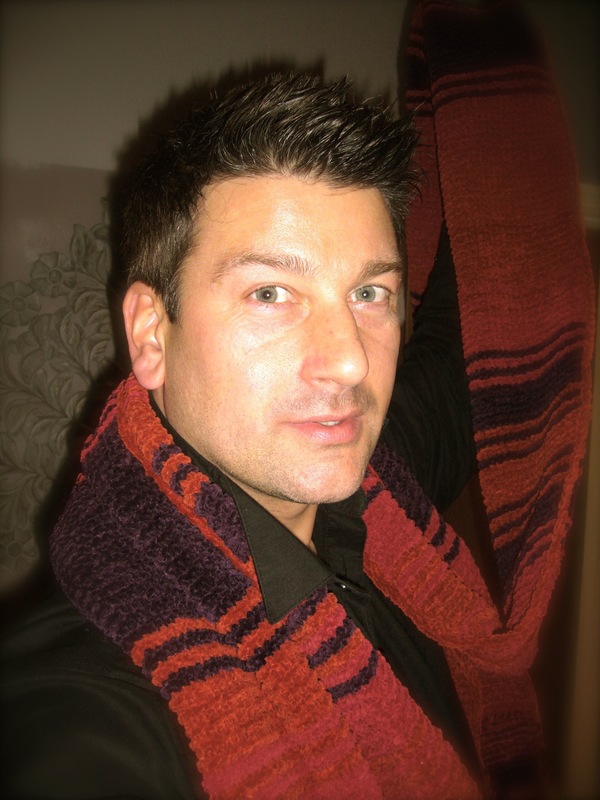 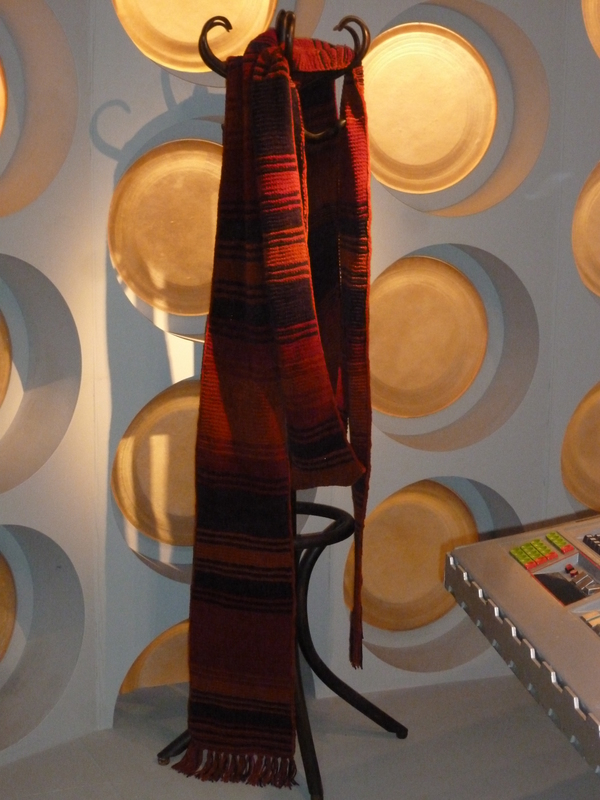 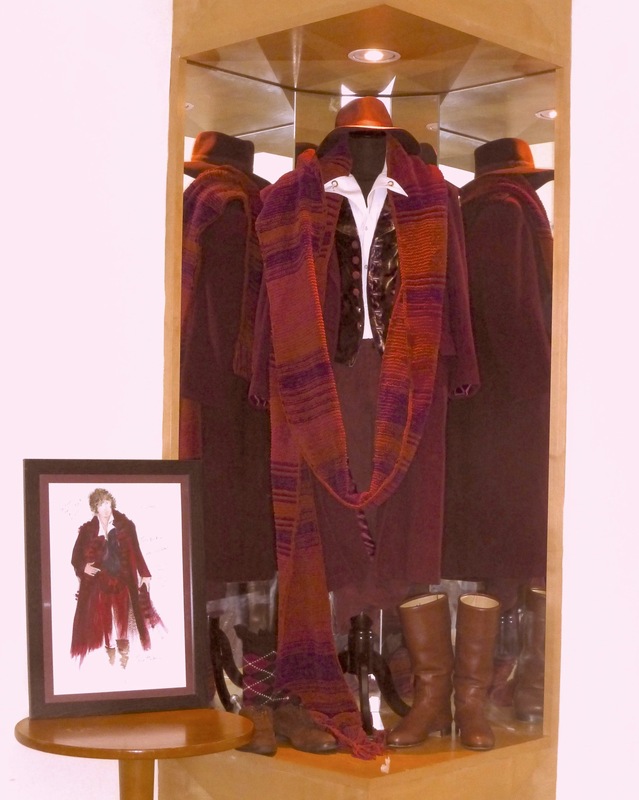 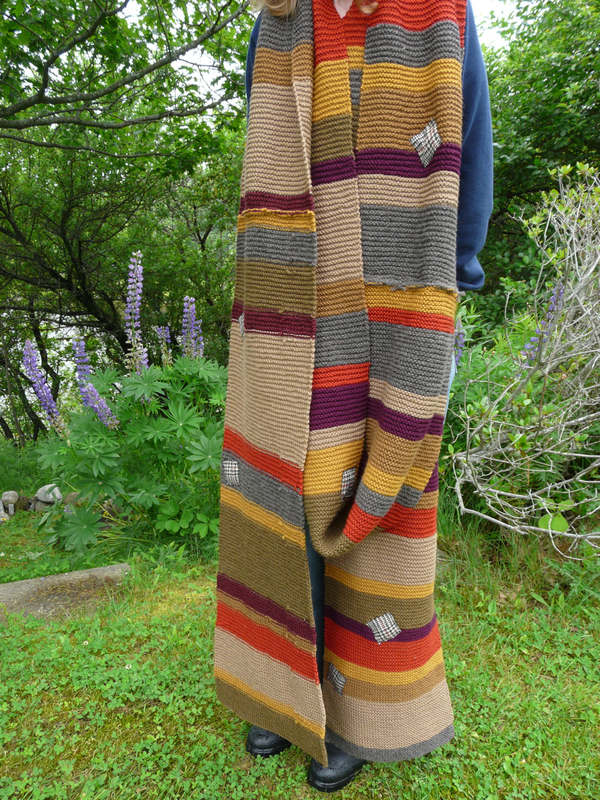 The perhaps less famous Tom Baker scarf was to dress the classic series TARDIS interior set. 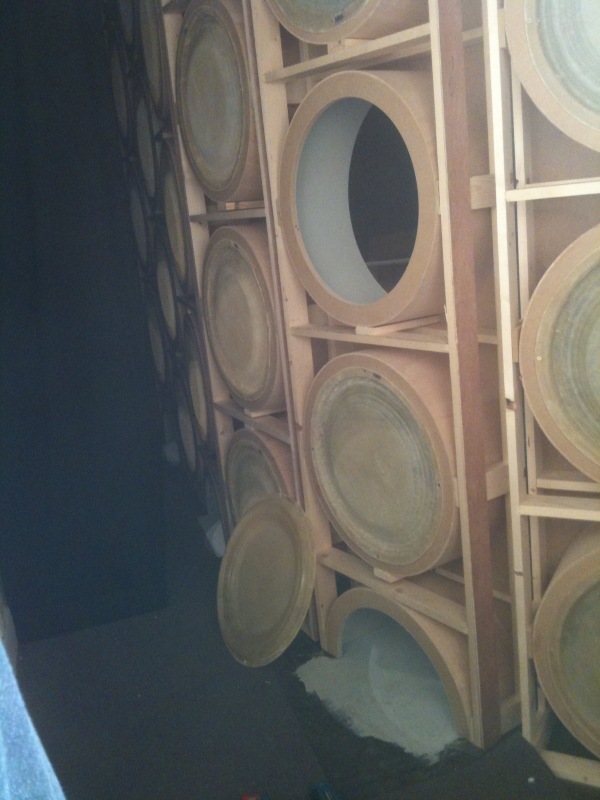 a storage facility! 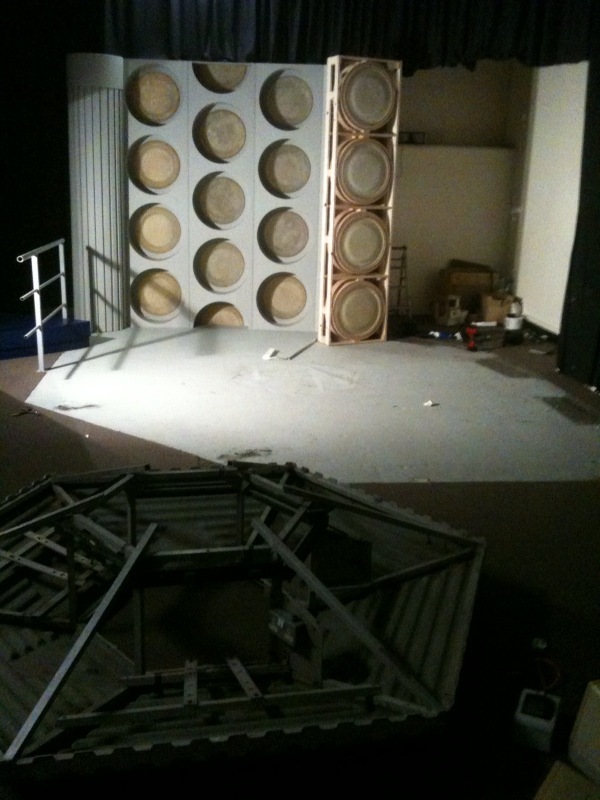 The mess begins again! 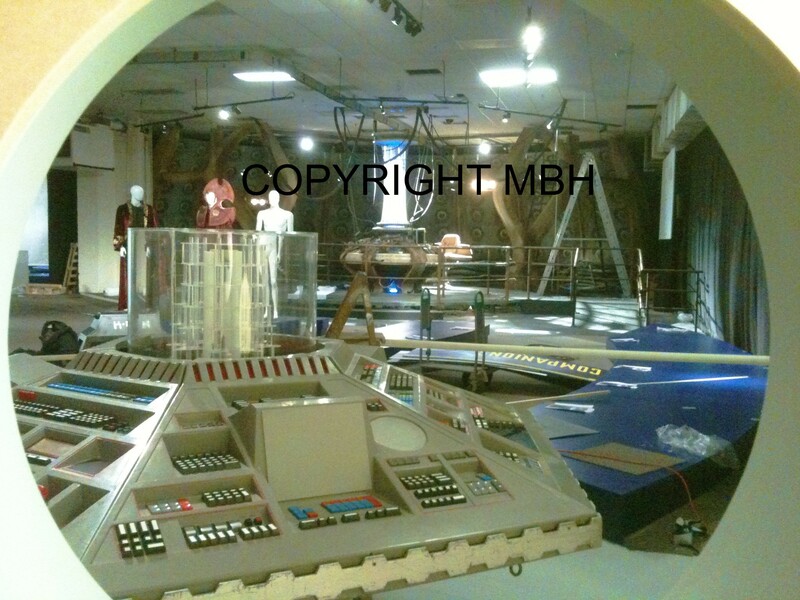 Breaking it down & removal of exhibition! 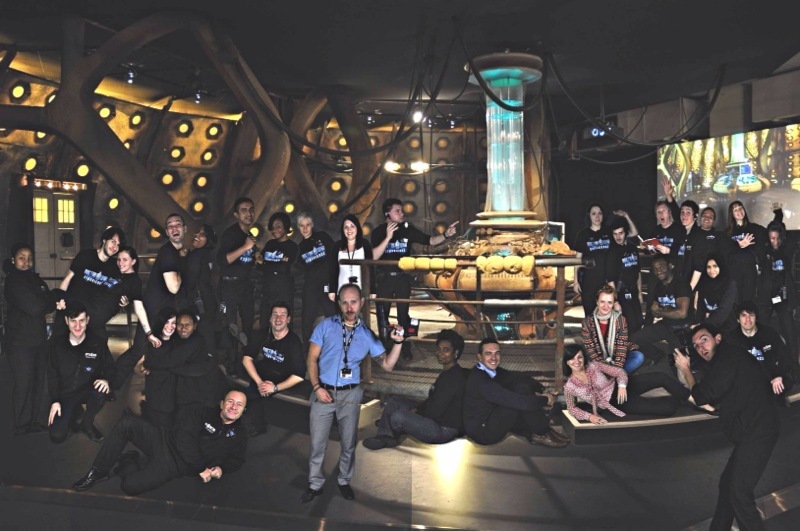 So, We all pulled together - worked over time and focussed on getting everything ready in time! 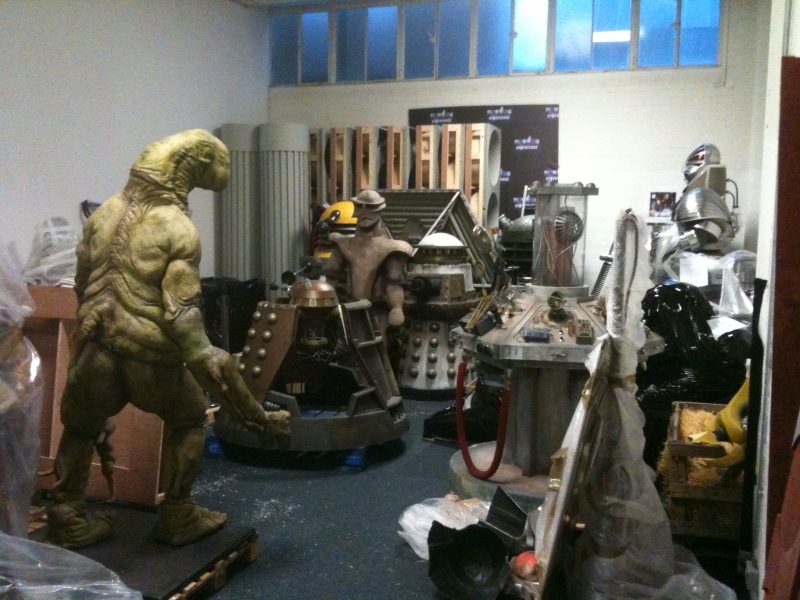 on arrival - knowing we had three days to make this work, my heart sank at the state of everything! 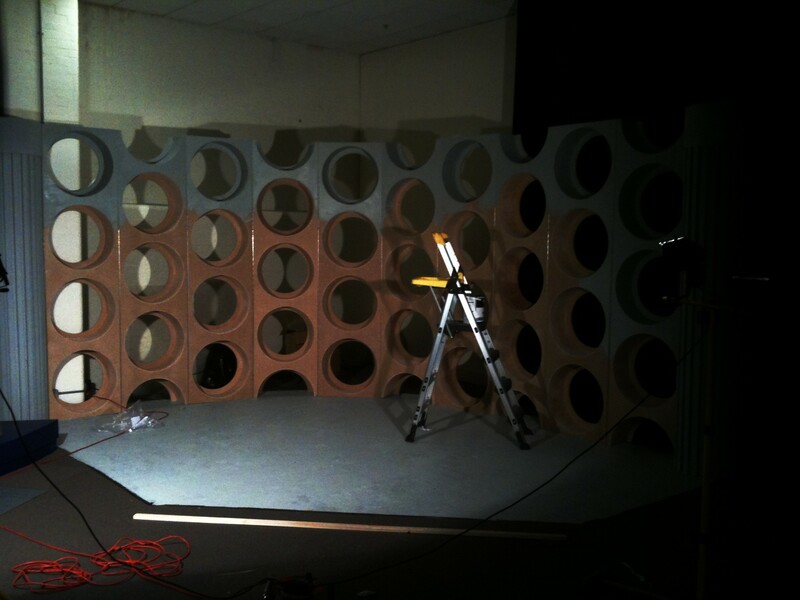 The space was smaller, but once you build the thing and dress it, with good lighting it works! 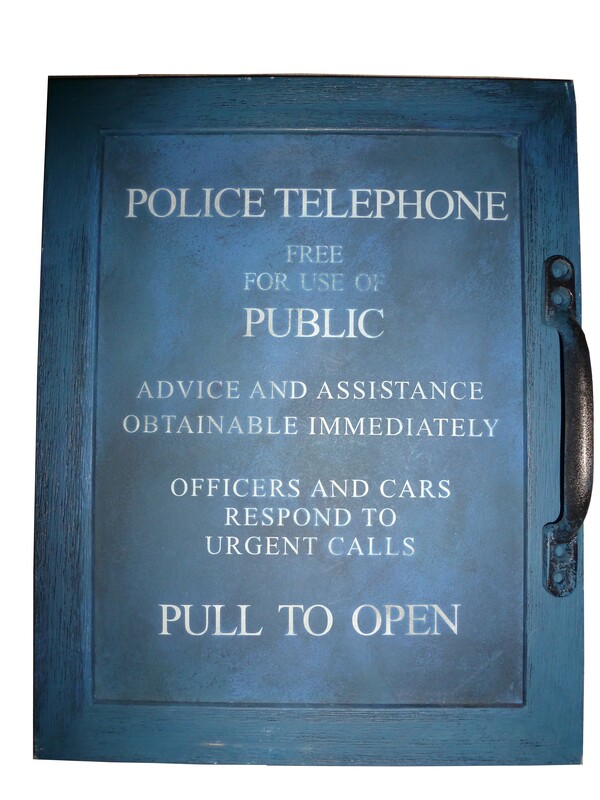 7 blues were used to create the authentic look-the replica on the previous page was my practice run! 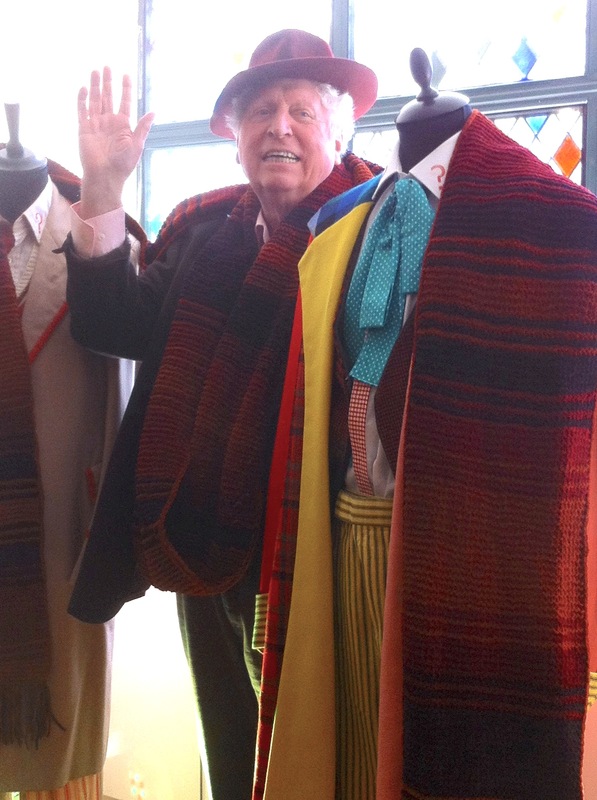 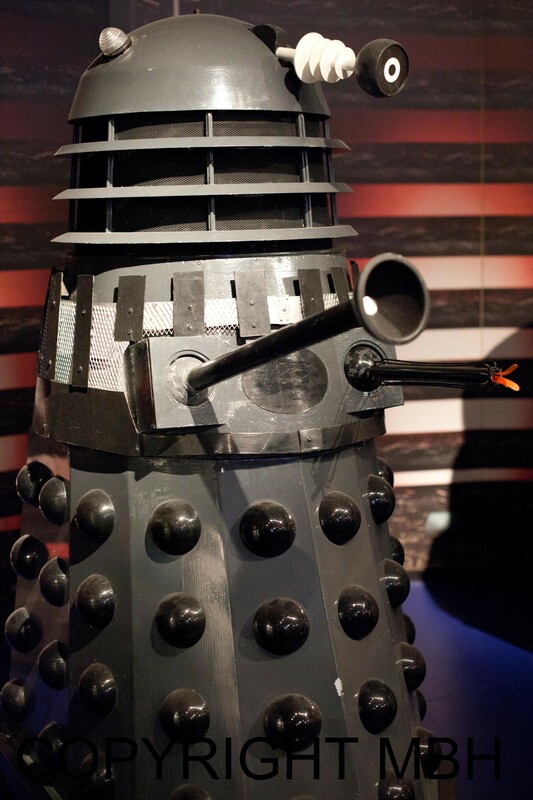 Tom Baker's 2nd famous COSTUME! 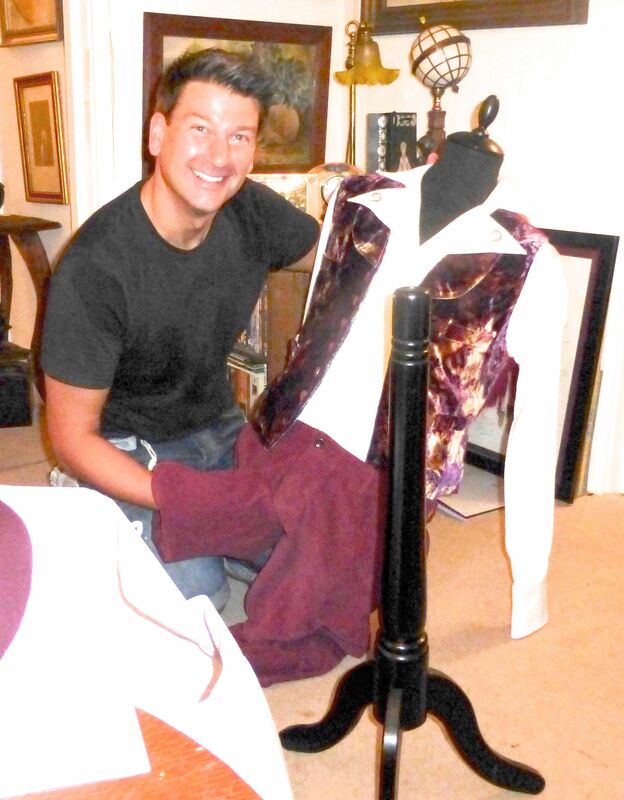 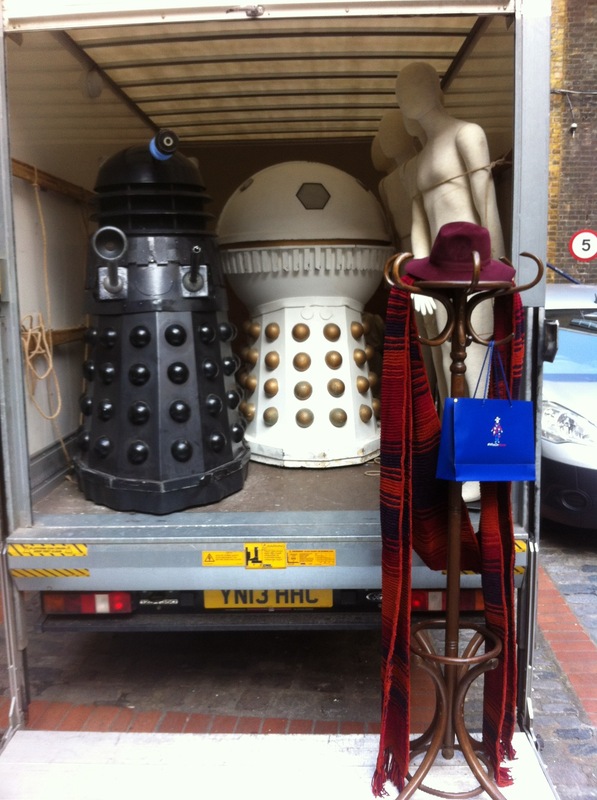 the day before Lalla Ward's charity event at Denville Halll June & I put the costume on a mannequin!